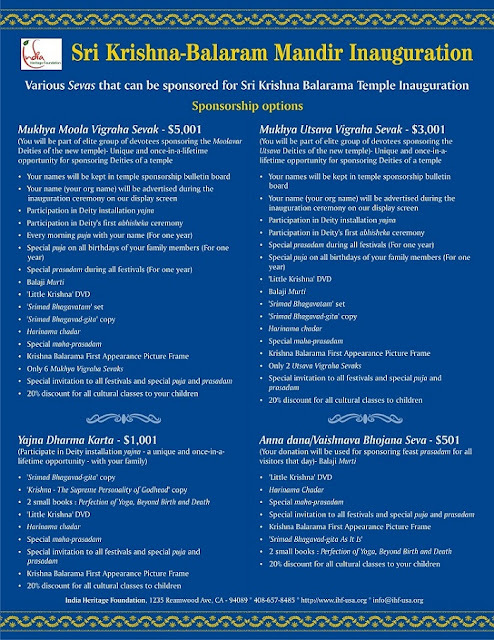 One of the main initiatives of India Heritage Foundation (ISKCON Bangalore) is our prestigious Krishna Balarama Mandir in Sunnyvale. We have leased a big facility at a very nice location and are making all arrangements to serve the Silicon Valley community by spreading the mercy and good blessings of their Lordships Sri Sri Krishna Balarama. We plan to spread our rich Indian culture and heritage through the activities of this mandir. We hope we can reach out and serve significant mass of people with this initiative. 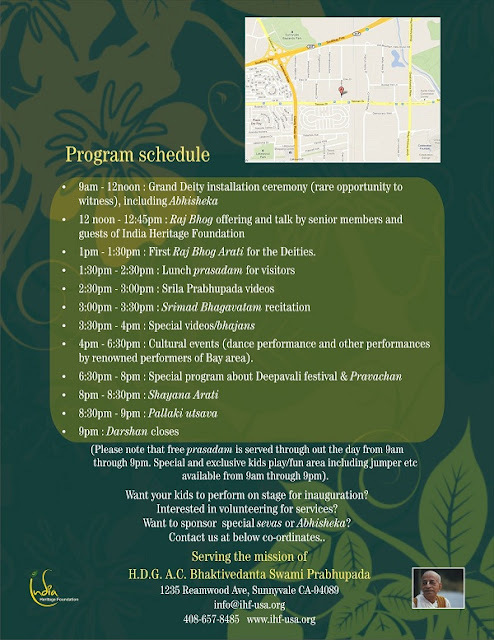 We are planning to have a grand inauguration on the auspicious occasion of Deepavali on the October 29th, 2011. There will be cultural programs, bhajans, deity installation ceremony and sumptuous prasadam. Please come with your family and friends and witness this once in a life time event. 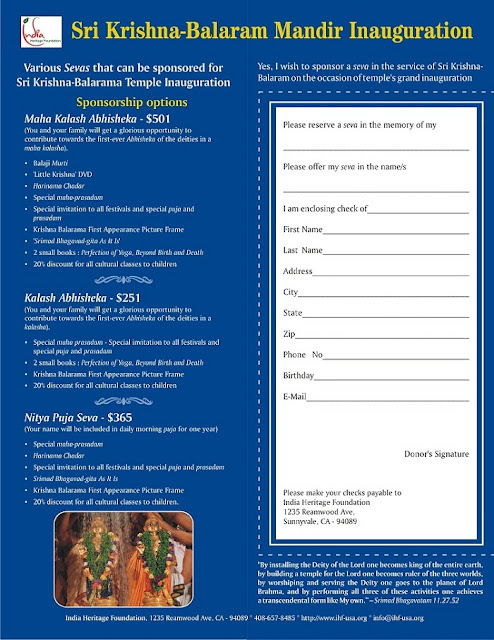 (Please note that free prasadam is served through out the day from 9am through 9pm.